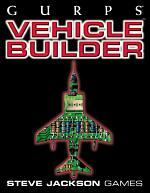 GURPS Vehicle Builder is the official vehicle-creation program for GURPS. 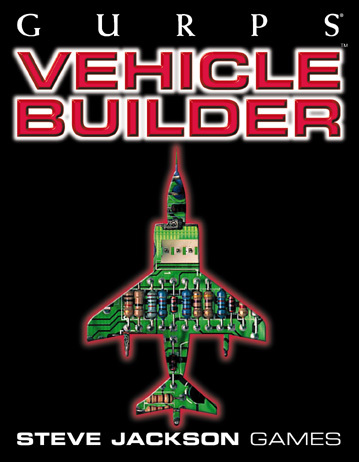 Like the GURPS Character Builder before it, GURPS Vehicle Builder lets you design, optimize, store, modify, and print out vehicles of all types, from an oxcart to a space station! All the system's features are supported, with complete vehicle creation rules from GURPS Vehicles, as well as GURPS Vehicles Expansion 1 and GURPS Vehicles Expansion 2. (For Windows only. Sorry, Mac fans.) Versions for other operating systems will not be available in the foreseeable future. See our emulator page for information on apparently-compatible emulators. Registered users can download updates here. Here's the support page. When (note that being realists, we do not say "if") we have patch or upgrade information, it will appear here. If all else fails, and you think you have a bug or problem you need help with, check out the forums. Discuss GURPS Vehicle Builder in the Steve Jackson Games Forums.